Increasing efficiency demands and stringent environmental legislation are driving an increase in the use of CO2 refrigeration. CO2 is experiencing a massive resurgence world-wide after its “re-invention” by Gustav Lorentzen in the early ’90s. CO2 was one of the most widely used refrigerants alongside ammonia in the early 20th century, but was displaced by the early CFC refrigerants, and practically disappeared from use as refrigerant by the 1950’s. Hence much of the technical understanding relating to its use as refrigerant has been lost, and research is underway on many fronts to regain an understanding for the potential of this abundant gas as refrigerant. It is ironic that CO2, which is the most common greenhouse gas and much vilified in the media as the main cause of global warming, should in fact be regarded as an environmentally benign refrigerant. However, as the Global Warming Potential values for HFC refrigerants are several thousand times higher than for CO2, leakage of CO2 gas from a refrigeration system is consequently several thousand times less damaging to the environment than the release of any HFC gas. This fact alone, along with the low cost and excellent thermodynamic properties of the refrigerant CO2 is driving its renaissance throughout our industry. 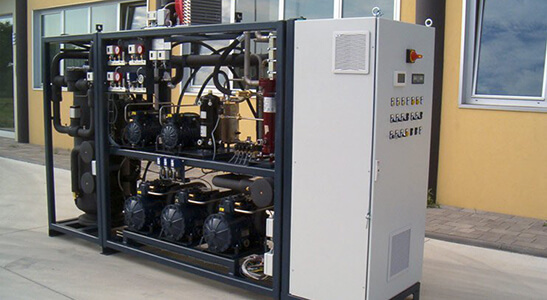 Green Cooling specialise in designing, specifying and installing CO2 refrigeration systems to provide highly efficient and environmentally sensitive cooling and heating systems for a variety of critical applications. CO2 refrigeration systems are the most practical and user-friendly among those utilising natural refrigerants. The very first refrigeration systems ever built used natural refrigerants such as Ammonia (NH3), Hydrocarbons (HCs) and Carbon Dioxide (CO2). After the invention of CFCs in 1929, the industry all but forgot these original gases, but the Montreal Protocol in 1987 changed all of that, forcing the large chemical companies to invent the alternative Hydro fluorocarbon (HFC) gases. Although HFCs do not directly deplete the ozone layer, they are powerful greenhouse gases. These gases are regulated by the 1997 Kyoto Protocol, and increasing pressure from subsequent regulations and emissions trading systems will force the industry to go back to the same roots that it started from. However, this time engineers will be far better prepared to deal with the technical challenges of toxicity and flammability posed by these environmentally benign gases, and their public acceptance will inevitably grow as environmental awareness grows. Green cooling will provide an initial site appraisal to determine & advise if a carbon dioxise refrigeration system could be cost effective and beneficial in terms of pay back. Once this is initial assessment is completed, a design and project scope will be provided which can incorporate an energy assessment with the specific recommendations detailed accordingly. By utilising a natural refrigerant within a cooling system, the specifier is able provide a number of benefits that can significantly reduce the building’s energy costs. Doing so also enhances the system’s environmental profile whilst increasing operational and lifetime efficiency. In terms of environmental impact, natural refrigerants are all deemed as having close to zero global warming potential in comparison to standard HFC refrigerants such as R407 which has a global warming potential (GWP) of over 1,600. In practice the refrigerant R744 (CO2) is now developing a mire mainstream reputation as the natural refrigerant of choice due to its highly efficient performance as well as the practical nature of its use when compared to hydrocarbons or ammonia. But why is CO2 deemed to have zero GWP? Basically because R744 is created as a by product of industrial processes and if captured and put to work in a refrigeration system this gas will have no detrimental effect on the atmosphere. R744 is suitable for use within many differing applications, from low temperature cooling systems through to high temperature heating packages with a high level of efficiency available across the operating temperature range. A carbon dioxide refrigeration system will operate comfortable when providing temperatures that allow low temperature frozen/chilled storage or process cooling but the refrigerant will also perform well when providing 80C water for potable or production use. It can be seen that CO2 is a practical and very well proven option when considering refrigerant choice and is particularly well suited to applications that call for high levels of efficiency. When comparing system efficiency it is normal for a CO2 system to provide an efficiency level that can be in excess of twice the standard coefficient of performance (COP) that could be expected from a HFC refrigerant. 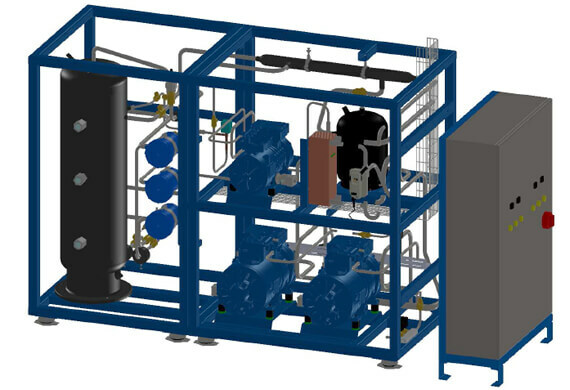 As such the design team at Green Cooling have extensive experience in applying CO2 systems within both cooling and heating applications and interestingly have proven applications where the CO2 system is providing cooling with heat recovery and in these applications the efficiency is set obviously at an extremely high level. In terms of environmental impact, CO2 can assist greatly in achieving BREEAM points to contribute to a high standard of overall performance. Unlike other BREEAM measures the use of CO2 within a refrigeration system is able to provide a cost effective and practical method of incorporating a low impact design within the context of building services. The standard range of Green Cooling low temperature packs provide reliable and efficient operation with the befit of heat recovery, mutli circuit and dual temperature options which allow a bespoke approach to be applied to each project. A typical Green Cooling 180kW dual temperature pack with heat recovery is shown below prior to being shipped to site. BREEAM is a key environmental driver. Here CO2 is a practical refrigeration choice for the specifier who is looking to apply a refrigerant that will deliver high efficiency along with strong environmental credentials. 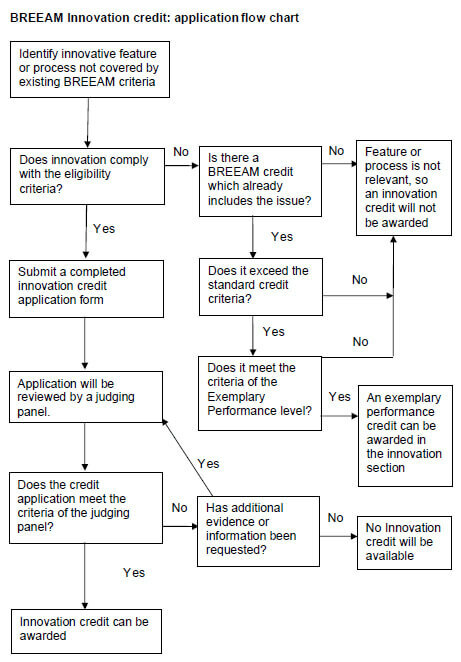 Q – What is BREEAM? Q – How is BREEAM used? Q – Can CO2 assist a specifier/designer in achieving BREEAM excellence? These show the main areas of BREEAM where a Green Cooling CO2 refrigeration system can provide real project benefits. 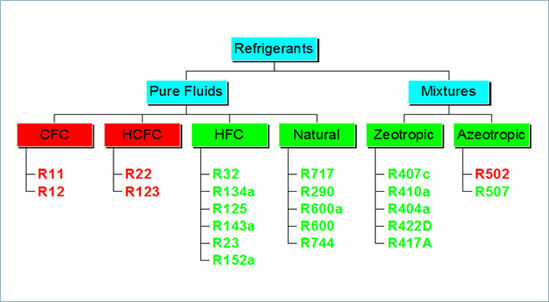 These sections show definite requirements where the application of natural refrigerant-based systems can be both practical and cost effective, the Green Cooling design team hove over ten years of experience with regard to the design, specification and installation of CO2 refrigeration systems. The Green Cooling design team is able to work with a design/specification team in order to provide experienced input which is designed to add value and allow a structured approach to be applied in order to gain the maximum level of credits from the installed refrigeration system. Leading CO2 refrigeration manufacturer appoints Green Cooling as UK distribution partner. The market for CO2 based refrigeration systems is still far from becoming mainstream but there has been significant growth within this sector over the past 24 months. No longer is CO2 purely the preserve of the carbon footprint focused retail sector or the BREEAM specifier, we now see other refrigeration dependent applications recognising the genuine efficiency & environmental benefits of utilising natural & low global warming refrigerants. The increased activity within the CO2 refrigeration market is driving developments in technology, but one of the main barriers to widening the scope of CO2 application remains the lack of focus and knowledge within the specification community. For this reason the Italian manufacturer Enex, who are recognised as being one of the leaders in the design & manufacture of packaged CO2 refrigeration equipment, has appointed Green Cooling as their UK distribution partner. The Green Cooling management team has extensive experience within both the CO2 and Hydrocarbon refrigeration sectors from both design and installation perspectives. This experience is driving the impressive growth of Green Cooling within the specialist area of natural and low global warming refrigeration. The management of Enex feel that the specialist approach of Green Cooling, which is geared towards providing highly efficient refrigeration systems, with a low environmental impact, fits perfectly with the Enex range of CO2 equipment. Green Cooling provides a complete service covering the design, specification, installation and commissioning of refrigeration systems across a wide range of critical applications. The Green Cooling management team have been working alongside the team at Enex for a number of years and this close relationship has now brought the two companies together in a formal distributor/manufacturer partnership. Garry Broadbent of Green Cooling comments, “We are extremely pleased that we are now able to offer the Enex CO2 range on a formal UK distribution basis”, continuing, “our approach is best practice driven and totally engineering focused which is completely aligned with the way Enex operate”. It appears that this specialist approach will drive growth across a range of applications. The Enex range includes low temperature -25°C and medium temperature 0°C packaged CO2 refrigeration units for freezer and chiller applications. However the Enex range also includes 80°C CO2 air & ground source heat pumps for the production of hot water. It is clear that the Enex CO2 range will provide very clear & definite benefits for BREEAM projects, however the range will also prove to be extremely beneficial for any project that is geared towards delivering a practical high efficiency refrigeration system. Enex 50kW packaged CO2 refrigeration unit with dual -25°C/0°C outputs plus optional 100% heat recovery output at 50°C.